Venus composites set new standards in dental technology to meet the high demands of your patients. Venus Diamond for a firm consistency and Venus Pearl for a creamy consistency. Venus Diamond Flow is the ideal supplement. The flowable, thixotropic consistency makes it highly versatile, offering ideal handling characteristics for Class V restorations, amongst others. 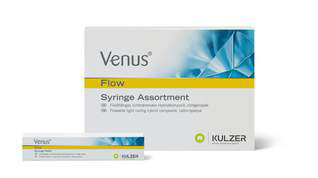 Venus Bulk Fill is a reduced shrinkage stress, flowable composite for bulk filling. Venus Bulk Fill offers an efficient and easy solution with placement in increments of up to 4 mm. 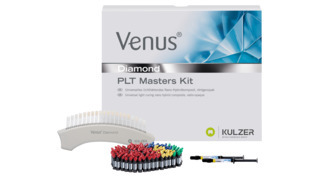 Venus Colour is available in five shades for natural-looking, customised teeth. 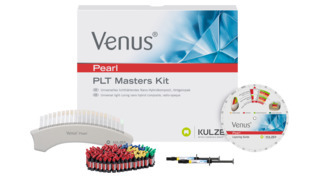 With Venus and Venus Flow you fabricate true-to-nature, long-lasting restorations with the easiest handling. 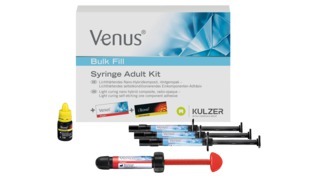 Venus® Bulk Fill – Simple, fast – safe! The flowable composite for greater efficiency in posterior restorations: With the bulk filling technique, posterior restorations are easier, faster and safer - with greater time savings. 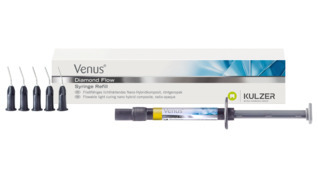 The new standard of care with its firm consistency: Venus Diamond nano-hybrid composite. The innovative formula and specially developed nano-hybrid filler system improve esthetics, durability and processing properties. Venus Flow – Simply beautiful. Venus Flow adds a perfect flowable variant to the outstanding properties of the Venus range. Its low viscosity and good thixotropic properties make Venus Flow ideal for a variety of applications. Venus Supra pre- and high gloss polishers are made of silicone highly filled with microfine diamond powder. The five different shapes provide a universal solution for all anterior and posterior restorations. 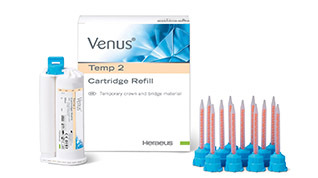 The ideal combination of strength, hardness and flexability, Venus Temp 2 offers the perfect temporary restoration.